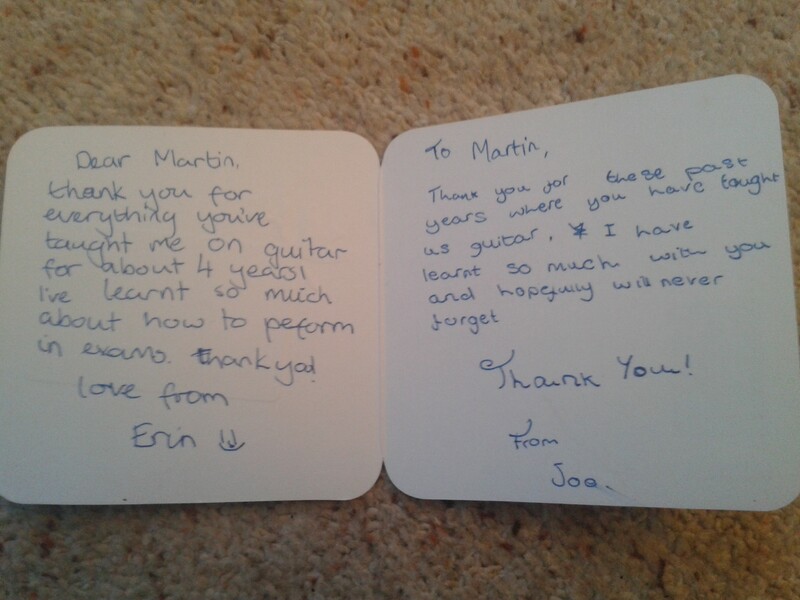 I have taught Joe and Erin (brother and sister) guitar for several years, but after I moved to Lilbourne, just outside Rugby in Warwickshire earlier this year I was forced to give up their guitar lessons. Having to give up their guitar lesson was a real shame because they both really enjoyed their lessons. Joe and Erin both achieved their grade three in their Rock School exams with flying colours. A few weeks after their last lesson I was delighted to get a lovely thank you card from them both. Take a look at the picture of it below. thank you for everything you’ve taught me on guitar for about 4 years. I’ve learnt so much about how to perform in exams. thank you! Thank you for these past years where you have taught us guitar. I have learnt so much with you and hopefully never forget. 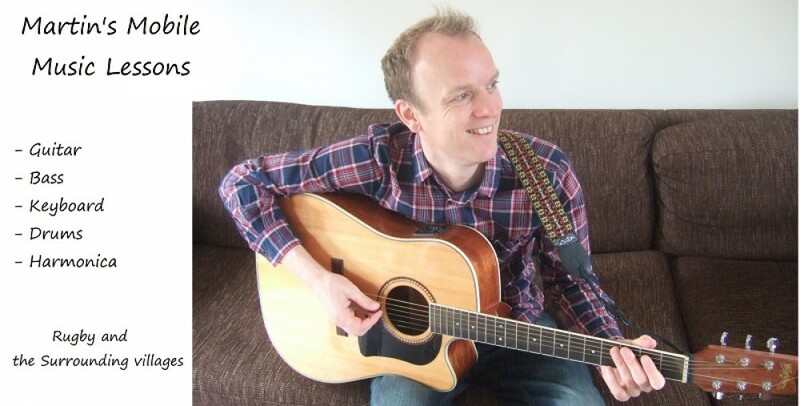 This entry was posted in All Blogs, Guitar Lessons Rugby by abidennison3. Bookmark the permalink.